I think even “Signs” was overrated. And I was probably one of the not-so-few who saw the twist in “Sixth Sense” coming a mile away. 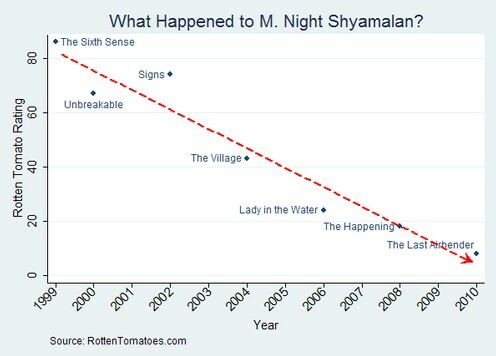 Marginal Revolution: What Happened to M. Night Shyamalan?